The bottom third of our face which consists of a jaw line and chin plays a very important role in defining our facial contours. For the perfect balance of our facial features it is very important that the shape of or chin is in perfect proportion to the rest of the features of our face. But for many people, the whole look of their otherwise balanced facial features is marred by the disproportionate shape of the chin, which could happen due to a lot of reasons. Some people may not like the shape of the chin with which they are born and for some people, unfortunately, an injury or trauma may cause the chin to lose it contours. To achieve the perfectly shaped chin and to enhance the contours of the facial profile a chin augmentation surgery can be performed using chin implants. With the help of chin augmentation surgery, a receding chin can look sharper and shapelier after the chin implants have been placed properly. It is now a very common surgery in Mumbai, India. With the help of chin implants, a less defined chin can be brought to a proper and defined shape. The size and the shape of the chin can be augmented with the help of implants. Sometimes, the augmentation surgery of the chin may be carried out in isolation or the chin augmentation surgery may be performed in conjunction with some other facial surgery to give the entire face an enhanced look. Who can be the best candidate for a chin implant surgery? If you have a very square chin and want a sleek and pointed chin which would make your facial contours look better, then the chin augmentation surgery is the best procedure for you. Also your facial surgeon may decide upon a chin implant surgery for you in case your nose is the dominant facial feature. With the help of chin, the transition from your chin to your neck can also become sharper. Generally, a patient looking forward to a chin implant surgery should understand that even though it is a common procedure today, unrealistic expectations should not be there. An understanding of the real outcome from the chin augmentation surgery can come when you can have an open dialogue with your surgeon. To customize the outcome of a chin implant surgery, a surgeon may modify the shape of the implant. Different materials are being used today for the manufacture of chin implants. The newer materials are very compatible with human tissues and do not cause any reaction once they are placed in the implant position. The best way to understand what exactly a chin implant surgery can do for you is to talk to the doctor by whom you plan to get the chin augmentation surgery from. The chin augmentation surgery by chin implants does not take very long and may take between an hour and an hour and a half. Generally if only chin implants are being placed, then the patient is given local anesthesia however if other facial procedures will be performed, then general anesthesia may be given. The incisions through which the implants are placed for the augmentation generally are invisible. For the purpose of suturing the incision, soluble stitches are made. Swelling after the chin augmentation surgery is completely normal and ice- packs can be used on being advised by the doctor. Chin augmentation surgery is now performed in almost all top hospitals of India. Facial implant surgery has been in practice in India for a long time now but until a few years back we all used to hear about the horror stories of facial implants and augmentation going wrong. One of the top reasons for implant surgeries going wrong was the incompatibility of the material of the implants with the human body. Today, in India the best material for implants are available which do not cause reaction in human body. Any surgery if not performed by the best doctor can be risky. The trend of chin implants is on the rise in Mumbai where more people are now coming to Dr. Debraj Shome who is the co- founder of The Esthetic Clinics in Mumbai. 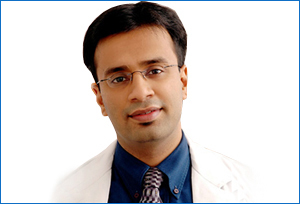 Dr. Shome is the best facial plastic surgeon in India who has revolutionized the way implants are perceived in India. Because of him, now the best cosmetic implants and surgery is now available in Mumbai and people from all over India are rushing to Mumbai to look their best. India is one of those top five nations where there has been a rise in the number of people opting for implant surgery in the last 10 years. The fascination with cosmetic surgery is more in Mumbai followed by Delhi. Dr. Shome says that many people who come to him in Mumbai do not know much about what they want from an implant surgery. Facial augmentation and implant procedures are not meant for everyone and to understand what would be best for you, you must listen to your surgeon. In India, even in some of the top hospitals patients are duped due to lack of knowledge. Do not get lured away by beauty clinics in India who offer you the best facial implant surgery at ‘half the price’. In India, the best choice for your chin augmentation surgery would be Dr. Debraj Shome whose chain of specialty cosmetic clinics is dedicated in service of patients in Mumbai. Dr. Shome understands that needs of his patients who come for chin implant surgery from all over India. He ensures that all his patients who come to Mumbai are given a true picture about the chin augmentation and implant surgery so that they are happy after the augmentation surgery. Dr. Shome has a long list of foreign patients also who come to India to get treated in Mumbai by Dr. Shome. The best treatment options are all available in Mumbai at Dr. Shome’s clinic. At the Esthetic Clinics in Mumbai, you can opt for some other additional top up surgery also which will give your face a much better look. India will very soon be the cosmetic surgery capital of the world with maximum number of foreign patients that will come to India for affordable health care. If you want the best for your face, come to Mumbai for surgery by Dr. Shome. Dr. Shome is synonymous with facial plastic surgery in Mumbai and he is one of the top facial plastic, maxillofacial and oculoplastic surgeons in Mumbai.